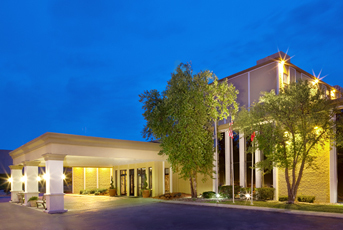 You may also reserve by calling Reservations Manager Kharin Hanes at the hotel’s in-house reservations desk. Call (214) 243-3363. If Kharin is not available, leave a message and she will call you back. 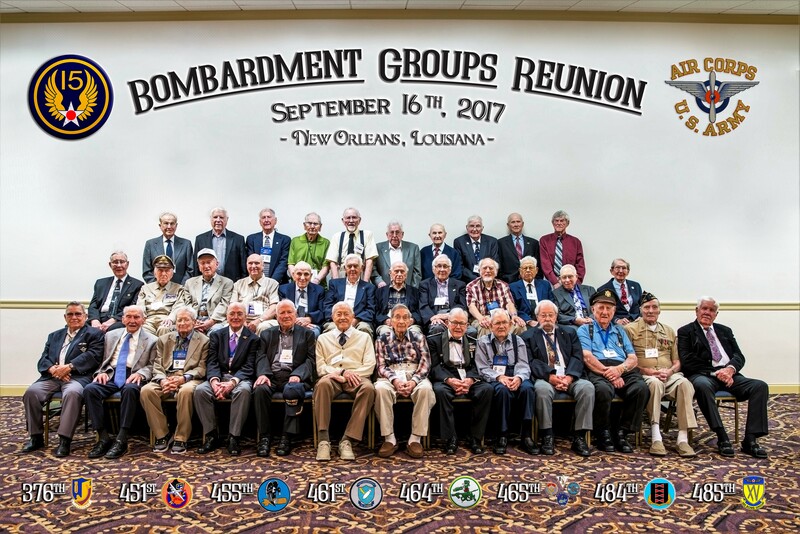 Mention the Bomb Groups Reunion in order to get the special rate. 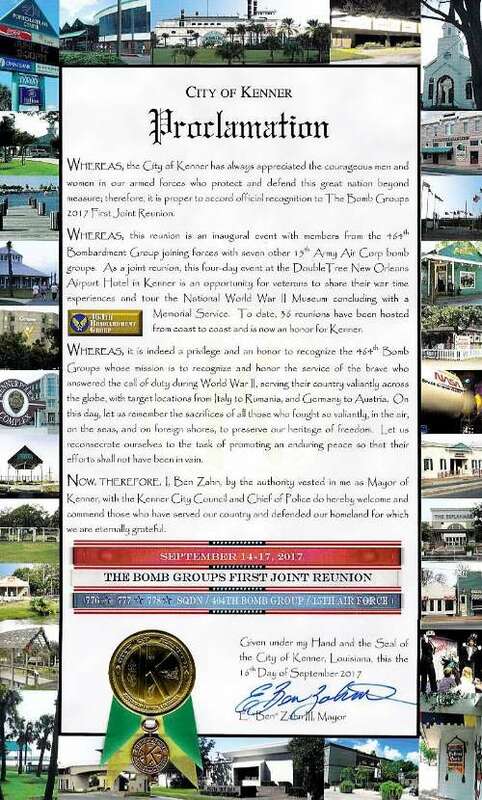 2018 Reunion Expenses Paid for 461st Veterans! The 461st Association has enjoyed a very healthy cash position for many years now. 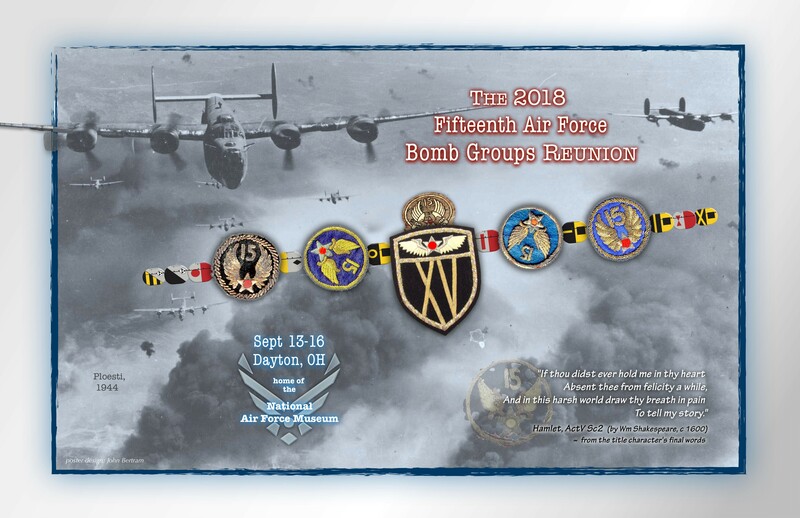 The 461st Board of Directors has decided once again that the 461st Bomb Group Association will pay the cost only for veterans of the 461st to include: Registration fee, Group Dinner, Banquet and the Farewell Dinner. 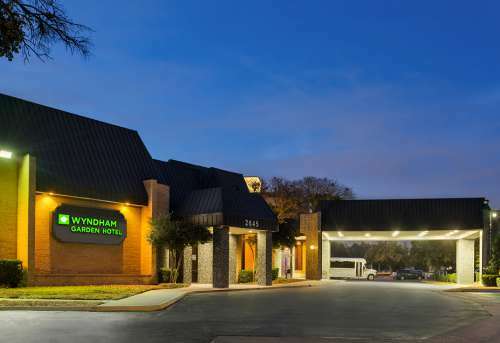 The only cost to the 461st veterans will be the hotel room itself and the tours. It is recommended that you reserve your room early. 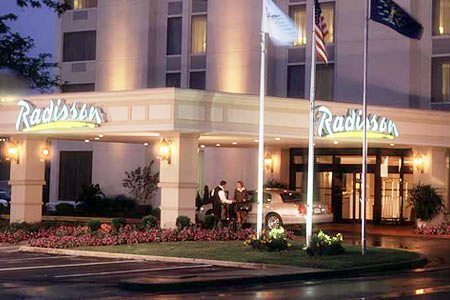 We have a good sized room block but we ended up running out of rooms last year as too many people waited until close to the reunion time to book and no more rooms were available. IF YOU BOOK A ROOM AND FIND LATER THAT YOU MUST CANCEL, YOU MAY DO SO WITH NO PENALTY UP TO 24 HOURS PRIOR TO ARRIVAL. So please, PLEASE, book your room now so if we run out of rooms in the block again, there will be time to add more. REUNION 2018 WAS A FANTASTIC SUCCESS!! 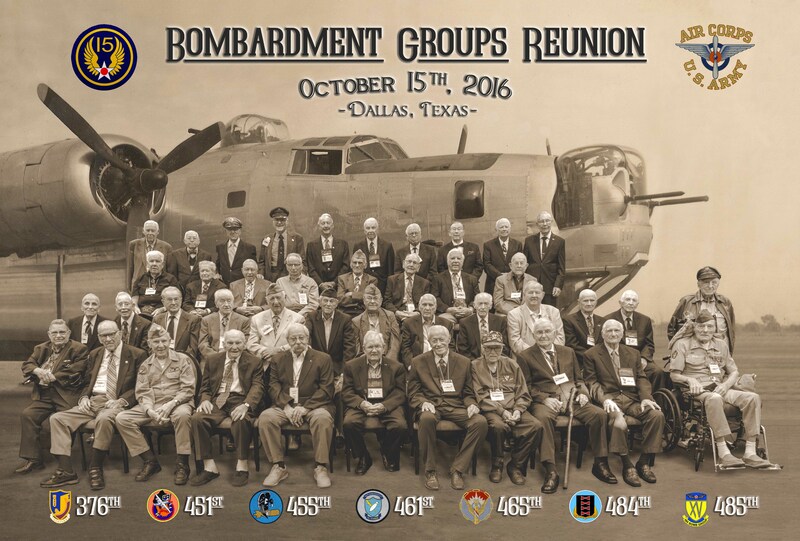 The 376th, 451st, 455th, 461st, 465th, 484th and 485th Bomb Groups met in Dallas, TX this year. 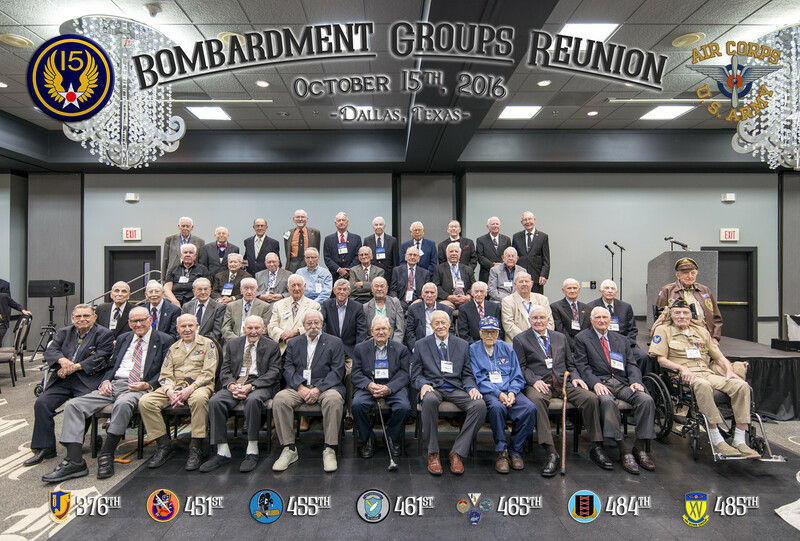 The 461st and the 484th had a joint reunion in Kansas City, MO this year and were joined by the 376th, 451st, 455th, 465th and the 485th bomb groups. 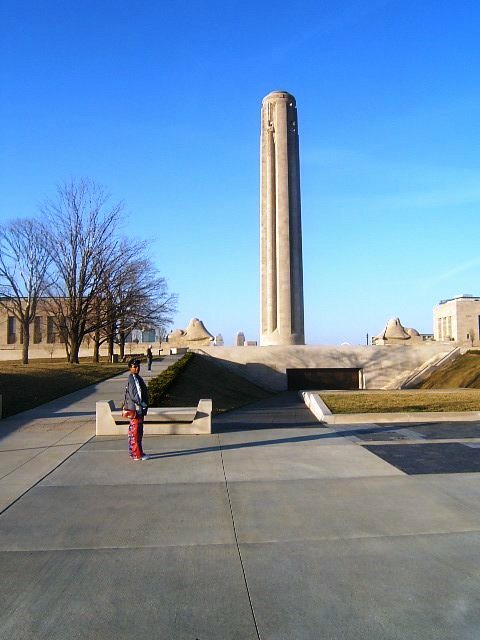 The 461st and 484th had a joint reunion in Omaha, NE this year. Link is a very large file. The 461st and 484th had a joint reunion in Bloomington, MN this year. The 461st went to Chicago, IL for its reunion this year. 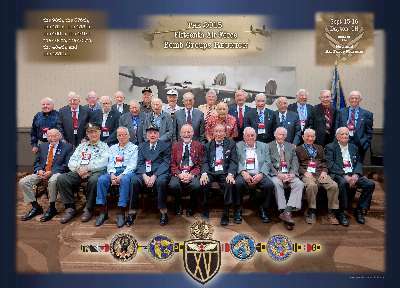 The 461st went to Tulsa, OK for its reunion this year. The 461st returned to Dayton, OH for another visit to the Air Force Museum in October 2008. 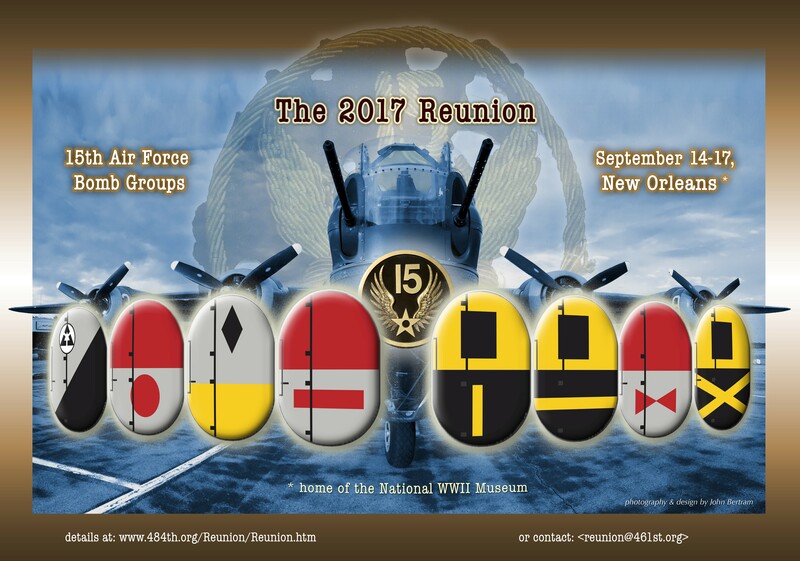 The 461st had yet another fantastic reunion in St. Louis, MO in September 2007. The 461st had a great reunion in Seattle, WA in October 2006. The 461st had a fantastic reunion in Washington, DC in October 2005. In Louisville, the 461st visited Churchill Downs, took a cruise on the river and visited a horse farm. San Diego in October is great and a fantastic reunion as well. From this convenient spot, we were able to tour Baltimore and the waterfront.